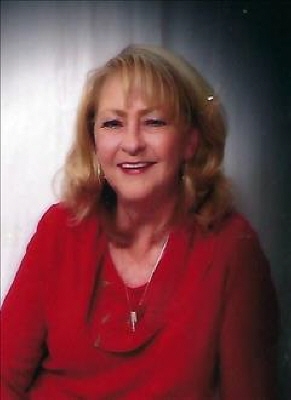 Karen Elizabeth Mahan, 65, of Duncan passed away Saturday, October 27th, 2018 in the Integris Deaconess Hospital in Oklahoma City, Oklahoma. A memorial service will be held 2:00 PM Friday in the Bailes-Polk Funeral Home with Reverend Keith Riddles and Reverend Kevin Aliniz officiating. Karen was born March 1, 1953 at Walters, Oklahoma the daughter of Clarence Everett and Bettie Jane (Ainsworth) Reeder. She worked as an in home care giver as well as a CMA in numerous nursing homes in the area. She enjoyed watching tv and loved spending time with her family especially her grandchildren. She was preceded in death by her father C.E. (Curly) Reeder sister Judy Riddles, step-father Marty Martinez, daughter Regina King Martinez, two grandchildren Morgan and Trevor King. Survivors include her mother Bettie Jane Martinez of Duncan, Oklahoma; two sons Shawn King and his wife Tosha of Meridian, Oklahoma and Eric King of Illinois; two daughters Shelly Brummett of Duncan, Oklahoma and Kendra Reed of Charleston, West Virginia; three grandchildren Halie Null, Kaitlin Reed and Lauren Reed; two great grandchildren Troy and Aria; sisters Beverly Eaton of Duncan, Oklahoma, Mary Nottingham of Meridian, Oklahoma and Carrie Martinez of Baltimore, Maryland; a brother-in-law Keith Riddles of Duncan and niece Mikayla Peck of Conroe, Texas. To send flowers or a remembrance gift to the family of Karen Elizabeth Mahan, please visit our Tribute Store. "Email Address" would like to share the life celebration of Karen Elizabeth Mahan. Click on the "link" to go to share a favorite memory or leave a condolence message for the family.